A good place to start is with the areas people see most. The side of the building that faces the street and the entrance from the parking lot are two prime examples. Since budgets can sometimes be tight, focusing on small, noticeable areas will have a significant impact. If your landscaping looks rough, it may be time to clean house. Get rid of plants that are old, unshapely, or dying. Keep those plants and trees that look good and serve a purpose. The key is to evaluate each plant or feature objectively. 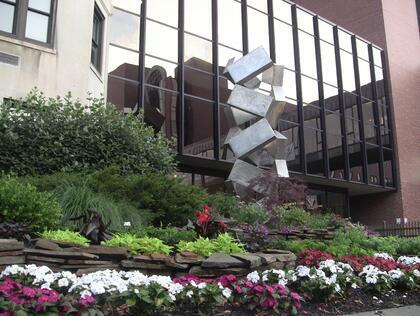 In commercial settings, consider using annual color at signs and main entrances to buildings. You have one chance to make a positive first impression and annual color is great way to make that happen. When you choose your new plants and features, long-term maintenance is always good to keep in mind. Choose plants and trees that are native to the area, or that are suited to the environment. Constantly replacing dead plants will be much costlier than planting the correct variety from the start, even if it means a little more money up-front. When evaluating your property, try to identify the areas that people tend to use the most, or areas they should be using. Perhaps adding a shade tree to an open courtyard will make it a great place for tenants to enjoy lunch. As a Facility Manager, it’s easy to get caught up in day-to-day activities and maintenance on the inside of your building. However, research shows that the most important factor in valuing a property is curb appeal. That means paying attention to how your building looks from the outside, including the landscaping. If your property is looking a little tired, or you don’t have the time or expertise to evaluate the landscaping on your property, contact the professionals at Turfscape today, and learn what an experienced Landscaping Contractor can do for your property.